When is the last time you bought something online without seeing a photo of the product? 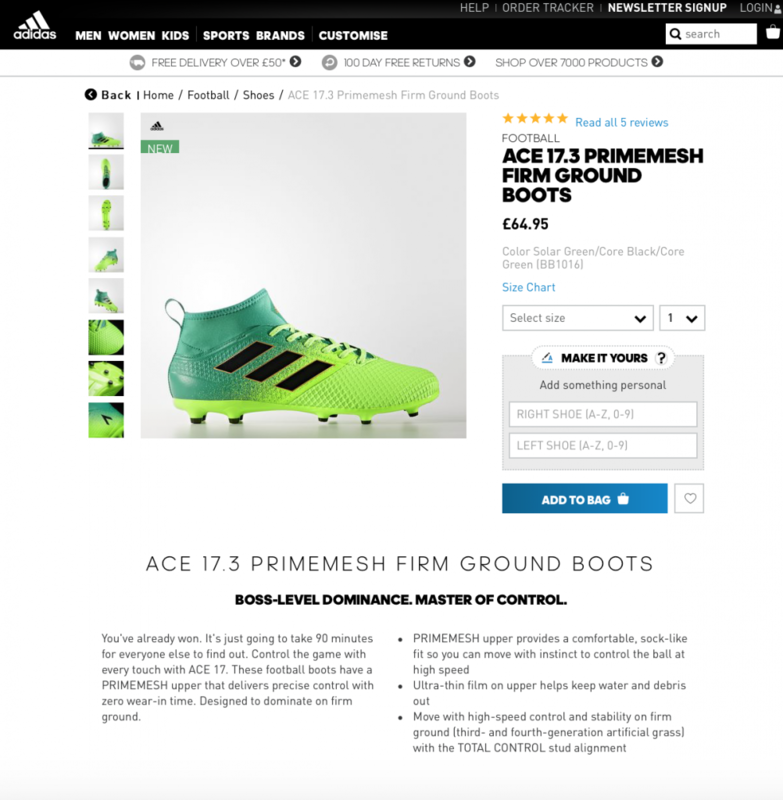 Would you feel comfortable buying from a site with blurry, mismatched product images? Your answer to both questions is probably a resounding “No!”. As ecommerce has boomed over the last two decades, we have come to expect certain fundamental features from our online stores. Chief among these are visual standards. According to a 2006 study in Nature, we form opinions about the websites we visit in 0.05 seconds – that’s half the time it takes to blink. And while this is true of sites in general, it’s especially relevant for ecommerce stores because you’re asking people to trust you with their credit card details. If something looks off, your potential customers will quickly feel uncomfortable and leave your site. Since a store’s appearance is so important, one of the quickest ways to improve its conversion rates is to improve its product photography. We covered more on this and other conversion tactics in a post last year. This article will serve as a guide for store owners looking to take their own product photographs. Of course, there’s nothing wrong with hiring a professional photographer, but learning to do it yourself allows for a little more creative control over your images. And if you are managing your marketing in-house, the DIY approach can help create a uniform look across your social media channels and improve your conversions. So we’ve established that your product photos need to be on point. But what does that really mean? What makes a “good” photo for ecommerce? How do your competitors display similar products to yours? Are there general standards your target audience expects certain products to be displayed? For example, most big brand shoe stores tend to list their shoes with photos from the side, top, front, back and 45 degree angle. Clothing stores tend to build around front, back, and “modeled” shots. 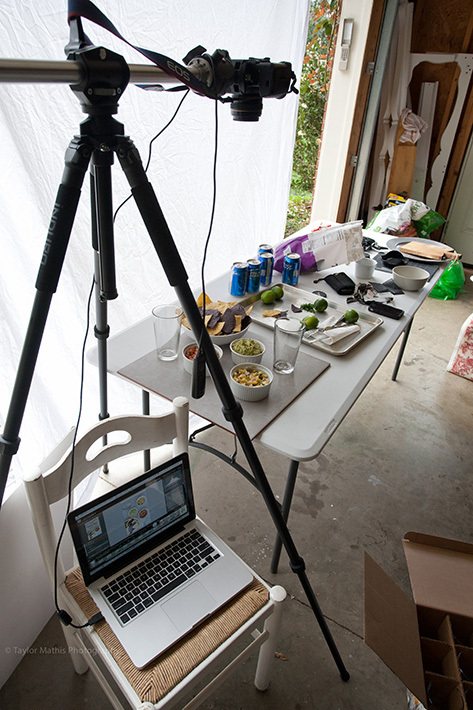 Food shots are often taken from above. Take a look around at your competition and see if there are shared formats to their product photography. You want your site to show, at the very minimum, what the user expects to see. Your product shots are a chance for you to show your products at their best. For many, this means big, crisp images showing a product in as much detail as possible. You may decide your products really speak to your customers when they are shown being used. Lifestyle pictures, action shots, 360° photography – there are many options out there. Whatever style you settle on, you’ll probably still need to include the basic hi-res, white backdrop product shot. It’s also the option with the most flexibility across marketing channels. Customers expect to be presented with a store’s products in an orderly manner. This is true both online and offline. Just like a physical store organizes its products in a navigable manner, your store should offer clusters of similar products presented in similar manners. Catalog and collection pages should display all products, or at least products in the same collection, with the same type of shot. This means the same angles, distances, lighting, background types, and aspect ratios. Consider your customers’ shopping experience and give them what they want. Having a dedicated space to build your DIY studio can be valuable in the long run, as you may need to add product photos or update older shoots. You don’t need a large area, but the location you choose should be near a window with plenty of natural light. Whether you’re using that nearby window or a lighting fixture as your main light source, your product will be unevenly lit. 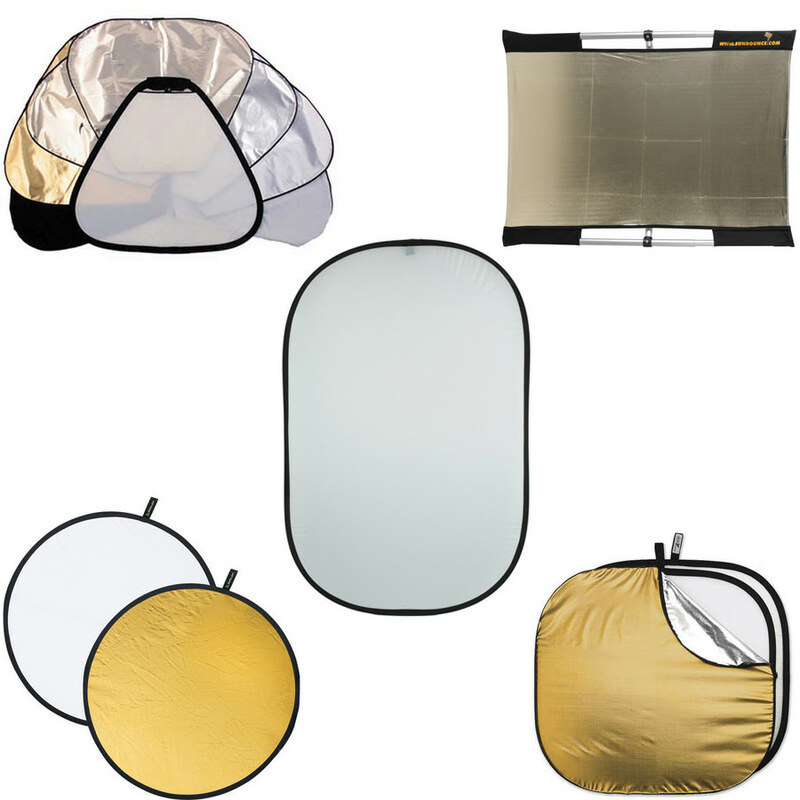 This is easily addressed with a reflector to bounce light onto the other side of your product. You can find a range of reflectors made for photography on Amazon, or you can simply use white foam board. Whichever you’ve opted for, position your product between the main light source and the reflector. The aim here is to eliminate shadows and create a clean, balanced look. When it comes to backgrounds, simple is always better. Neutral, solid colors are the appropriate choices because they allow the viewer to focus on the products being highlighted. A white backdrop will work best for most products, both for more light distribution and for creating a contrast with the item being shot. In order to achieve a clean look, you may want to use a photographer’s sweep. This is a large sheet of paper that serves as the background and foreground of the image, creating a seamless contrast to your product. Fstoppers has a step-by-step guide to building your own sweep setup. A lightbox is a convenient alternative for smaller products. It’s essentially an entire studio in compact, portable form with an LED strip for a light source and white plastic walls that work as reflectors. But if you’re planning on taking top-down or flat lay photos, lightboxes are not a good choice – because of the location of the LED strip, the only angles you’ll be able to shoot effectively are from the side and raised 45°. A popular option is the Foldio 2, though you can find many alternatives on Amazon and AliExpress ranging from under $10 to over $100. An image shot from above – a food product, for example – doesn’t need a sweep or a lightbox. Just make sure the background surface works with all your products. If you’re big on flat lay photography, you may be able to create product photos out of certain images by simply removing the flat lay background in the editing process (more on this in the editing section). As long as you’ve nailed your lighting, removing the background may create an even stronger contrast with the product. Trying to select the right camera for this job might cause analysis paralysis. However, if you know what you’re looking for it’s actually pretty straight forward. The short answer is DSLR cameras have the potential to take better pictures, but they can be expensive and unwieldy for a first time user. Smartphone cameras are convenient and familiar, but don’t allow the full range of control that a DSLR camera provides. Whatever camera you choose, you should understand a few basic concepts and feel comfortable experimenting with your settings. The big three manual settings you need to play with are your camera’s ISO, aperture, and shutter speed. The ISO setting controls your camera’s sensitivity to light. The dimmer the environment, the higher the ISO setting should be. But since you’ve already (hopefully!) set up your DIY studio with adequate lighting, you won’t need an ISO setting above 400. Your aperture settings (measured in F-stops) will determine the depth-of-field of your image, or how much of the image is in focus. The lower the aperture, the higher the F-stop number, and the more of the product will be in focus. High aperture settings (low F-stops) will create an image with only partial focus. This sort of shot can be used to great effect if the aim is to focus attention on one part of the image – for example, to highlight your product in an otherwise busy scene. Standard solo product shots against a white backdrop, though, should use a high F-stop number. The third manual setting is shutter speed, which refers to how quickly the shutter opens and closes. The lower the shutter speed, the longer the camera’s sensor is exposed to light. This can create a very crisp image, but also makes it susceptible to motion blur. Stabilization and stillness are essential. Combining the high F-stop number with as low a shutter speed as possible is ideal for standard product photos. But, if you are shooting your product on a model (human or animal), you may have to compensate for motion by increasing your shutter speed. Ultimately you’ll need to play around with all three settings. Most product photos will work well with an ISO under 400, low aperture, and low shutter speed. The quality of your image comes down to lighting and focus. And if you’ve spent time and effort setting up your DIY studio and finding the right camera settings, you can’t let something like “camera shake” affect your photos. Tripods are essential, whether you’re using DSLR or a smartphone. In addition to basic tripods, you can find specialized add ons for specific shots – Flat Lay extension arms for overhead photographs, for example. You can add further stability and completely eliminate any movement by using an external remote or the camera’s timer. Tripods also help standardize the angles and distances you’re shooting from. You may be able to edit many flaws away, but keeping fixed locations and camera angles will save you a lot of time and effort in creating standards across all your shots. Simply mark the locations of your tripod legs – Mark It Dots can come in handy – note height/angle settings, and use a paperweight to mark your product placing on the sweep or in the lightbox. The settings on standard smartphone cameras don’t allow for much flexibility, but you can get a little more control with the help of an app or two. Gizmodo ranks Manual and Camera FV-5 as the top iOS and Android apps, respectively. Tapping the phone’s screen will help direct the camera’s focus to a certain location. This can be helpful in focusing the viewer’s’ attention on a part of your product or on the product in a lifestyle shot. If the autofocus function isn’t identifying the product properly, you may need more light. Avoid using the zoom and flash functions. Zooming in will lower the quality of your photo, and the flash will destroy the lighting environment you’ve set up. Social media filters should generally be avoided in your primary product photography. That said, taking time to look at the structure of the filters on Google and Instagram will help you learn which manual settings are needed to create certain images. You may be tempted to invest in specialized lenses, like Fisheye and Macro options, that snap on to your phone. These may be great for specific types of images, but they don’t do much for traditional product shots. Experiment widely but don’t get bogged down with endless tests. The goal here is to build a visual experience for the customer that results in purchases. Adobe Photoshop and Lightroom are the gold standard when it comes to photo editing software – but they are also expensive and can be intimidating for a first time user. A few free alternatives exist, like Gimp, but there’s still a learning curve when it comes to any advanced editing. A simple trick worth trying is background removal. This can be done with free online tools like Clipping Magic. By isolating your product from everything else in the picture, you’ll end up with a transparent or completely white background. This will maximize contrast and intensify the viewers’ focus on your product. It’s free, easy, and works surprisingly well across many types of products. Most major ecommerce platforms and site themes will specify ideal image sizes. Shopify, for example, recommends 2048 px by 2048 px for square product images but can handle images up to 4472 px by 4472 px. In general you should aim for the largest images possible without affecting your site’s load time. The type of file you use for your images matters. For ecommerce and most web purposes, this means saving your photos as JPEGs instead of PNGs, since a JPEG is a significantly smaller file type. You can further optimize the size of your files by using image compression tools. Your site’s speed is a major factor in the overall performance of your ecommerce store. Taking the extra steps to use the right file types and sizes will both improve your store’s appearance and conversion rates. Image sizes directly affect your site’s performance on mobile devices. This is important because mobile shopping is becoming increasingly prevalent. According to Business Insider, shopping from mobile devices will make up 45% of total ecommerce transactions by 2020. Since mobile optimization comes standard with many ecommerce platforms, you should already be running a mobile-friendly store and theme.. Still, you should test your images on both desktop and mobile (and across browsers). Very large images might perform fine on desktop but not on mobile devices, and potentially drive customers away. Just like standardizing your shooting angles and camera settings, you’ll want to make sure the final images are uniform across the board. Maintaining the same aspect ratio (the width to height ratio) can be done by creating templates in your editing software. If you’re more comfortable using preset templates, Canva has a wide range of free options. Many site owners fail to maximize the SEO potential of their sites, and ecommerce stores are no exception. For the purposes of this article, alt-tags are particularly relevant. An alt tag is simply a description of an image, and each image should have one. Assuming you’re running an ecommerce store with multiple products and plan to have multiple photos for each product – that’s a lot of chances to add valuable keywords. It’s just one of the many basic SEO boxes you can and should be ticking every time you add a product image. Yoast has a great deep dive on how and why you should be using your alt text. Great product photos can be used across your various marketing channels, not just on the product page. If you are running advertising campaigns of any sort, you’re probably experimenting with different types of imagery, including your basic product shots. The high res, plain white background of these photos means you have extra space to add descriptive text for specific ads without violating the Facebook 20% rule. More importantly, think about retargeting and especially abandoned cart campaigns. A shopper who added an item to their cart but never checked out has demonstrated buying intent. But it’s not just any buying intent, it’s buying intent with a specific product in mind. And because it’s a specific product, what better way to convert that abandoner than to feature a beautiful image of the product that they already liked enough to almost buy? If you are properly retargeting that cart abandoner, what’s more effective – an ad pointing back at your store in general, or an ad that features the specific product he almost bought? A shopper who’s that far along his customer journey doesn’t really need to be sold on the idea of your product with lifestyle pictures and happy people using or wearing the item. They’re already there. Product photography can feel a little overwhelming when you’re first getting started. Building a simple but effective “studio” will allow you to experiment with the camera you’ve chosen. By focusing on simple photo composition – the product on a white backdrop – and only adjusting three camera settings (ISO, aperture, and shutter speed), you will quickly improve your photography. And while you can always hire a pro, understanding the hows and whys of your product images will allow you to consistently optimize your store. Great pictures will immediately improve your store’s conversion rates and the performance of your advertising (and especially retargeting) campaigns. Dan McDermott is a conversion marketer for Shopify brands. He helps businesses optimize their online stores and build email lists that perform. Dan can be reached via his website, danmcd.me.